Franco hung around the Corinthia Hotel before being returned home. 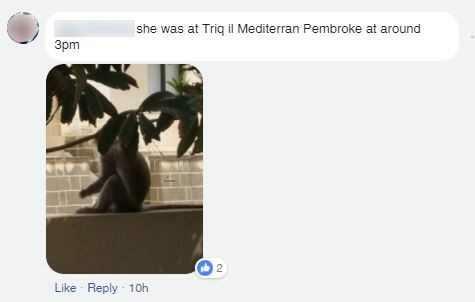 A pet monkey who escaped his owner in Iklin has been found safe and sound in a luxury hotel room more than 5km away. 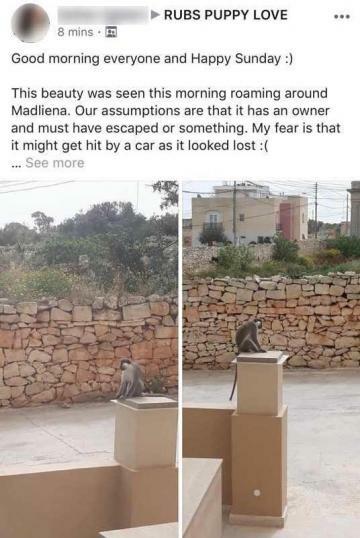 Franco went missing on Friday April 13 and was spotted in Madliena, Pembroke, Magħtab and on the Coast Road before being caught while enjoying the facilities of the Corinthia Hotel in St George's Bay. "He was looked after and fed plenty of bananas," a hotel spokesman said. "We hope he enjoyed his stay and will leave us a five-star review on TripAdvisor." 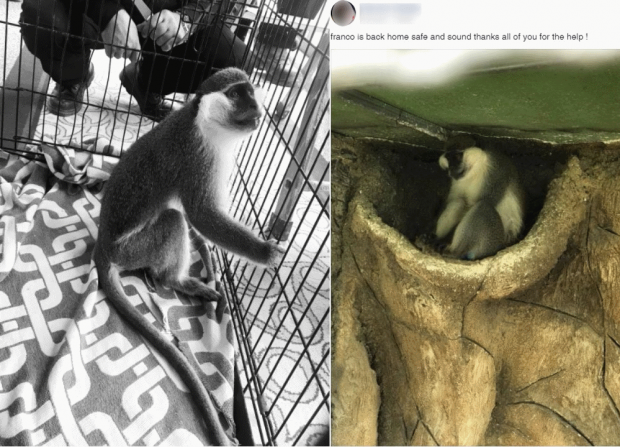 Franco - a six-year-old vervet monkey who has been with his owners since he was three months old - did a runner on Friday after opening the lock to his cage in Iklin. His disappearance had fired up members of Facebook group RUBS Puppy Love over the weekend, with the cheeky escape artist seen relaxing on a boundary wall in Pembroke and even giving a motorist an almighty fright. 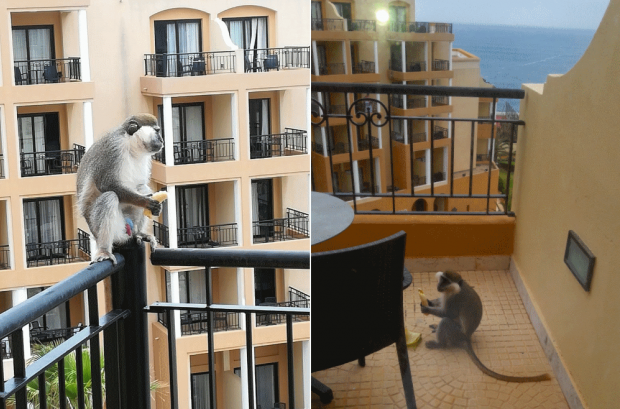 "A monkey just jumped in front of my car while driving on the coast road! Could be really dangerous," they wrote on the Facebook group. Thankfully, nobody - or monkey - ended up hurt, and Franco was found inside an empty room at the five-star Corinthia hotel at 9am on Monday. After enjoying a banana breakfast, Franco was returned home by animal ambulance on Monday morning and is now back with his owners. A close call on the Coast Road. Life in the lap of luxury.